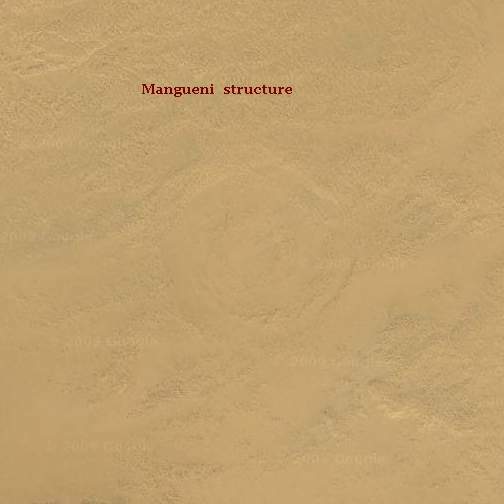 "The circular feature on the Mangueni Plateau of the North Niger is eroded impact crater or salt diapir. The circular structure 1.7 km in diameter and 5-10 m deep. It checked on geological map and satellite images. 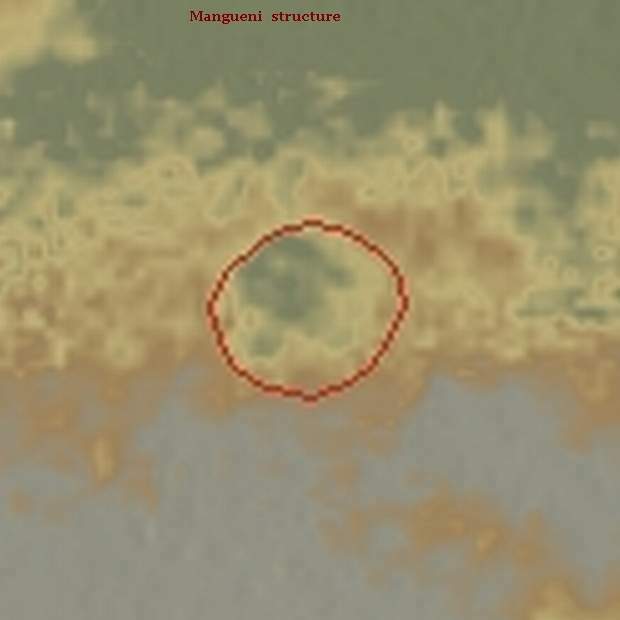 The Mangueni Plateau (Plateau de Mangueni) is southern extension of the Murzuq Basin. The basin is by floored Archean basement rocks. It's filled with Cambrian to Carboniferous sediments and Jurassic to Cretaceous sediments. Bedrock is made Cretaceous sandstones, so the structure age probable is Cretaceous or younger." SRTM map 6x6 km (greenish <= 813 m and grayish >= 830 m) with structure contour.